So I’m off to Thailand for the fifth time (I know!) but I’ve done Vietnam and Bali too. While I loved Vietnam to bits (it’s actually very similar to Thailand and I’ll definitely go back) Thai Thai has my heart as it’s much less expensive to fly to. It’s also crazy beautiful, the sea is like bathwater, super safe and the food, shopping and people are all fantastic. This time I’m heading off with my buddy Dax who’ll be joining me for the first ten days of my trip. (I’m staying on for three weeks.) He’s been instructed to walk ten metres behind me should we run into any hot Australians or wear a T-shirt that says ‘SHE’S NOT MY GIRLFRIEND’. He’s yet to pick his poison. But you can follow him on social media for more insight into the trip. He’s @relaxwithdax on both twitter and Instagram. You don’t need a filter. The sea really is this colour blue. I’m always on the look out for flight specials but if you’re on Discovery Vitality you can get a percentage off certain airline tickets and Emirates is one of them. Being on the Silver tier, I score a cool 25% off so at one point I could’ve flown Emirates for R6500 return to Bangkok. You have to book your flights a good six weeks in advance. This time round, however, I’m flying with Ethiopian Airways (I was messed around by friends who didn’t commit so I missed the six week gap) and snapped up a ticket for R6400. (CT – ADDIS ABABA – BANGKOK return.) I’ve never flown with them before so I’ll let you know how it goes. But ja! The reason why it’s best to compare is because each engine tends to pick up on different routes. For example, where my travel dates were concerned, travelstart picked up on a flight that was R100 less than cheapflights’ but the latter’s option served up a similar route with a much shorter layover. Now aren’t you glad we compared across all three? For the record, if you’re not keen on Bangkok or want to start your holiday in the islands don’t feel like you have to always search for a flight to Bangkok. It’s easy to find flights to Phuket (Thailand’s biggest island) for a very similar price. Another of my tips in regards to flying is to book your flight using a credit card that offers free travel insurance. I have a Kulula credit card and a Virgin Money credit card and both give me free travel insurance which is more than enough for me to not need to top it up. I used my Kulula card this time and just my flights alone are now insured for R14K. But here’s the kicker! Once you’ve booked your ticket don’t take it fore granted that you’re insured. Call your card company and give them your travel dates so they can issue your free policy. I made the mistake of not doing this once and my flight home moved a day forward which affected local connecting flights I’d bought separately. When I called the credit card company to let them know about it they said I wasn’t covered as I’d yet to ‘activate/issue’ my policy. Arrrgh! Okay, so those are your flights sorted. Now keep an eye on the blog as my next posts will give you a heads up on hotels with lots more tips to follow. You can also follow my trip my social media. I’m @lipglossgirl on twitter and @lipglossgirlxoxo on Instagram. Totally saved those three websites – we’re heading to Dublin and the UK next year, and they’ll come in handy! Which Islands near Patong Beach in Phuket can you recommend? 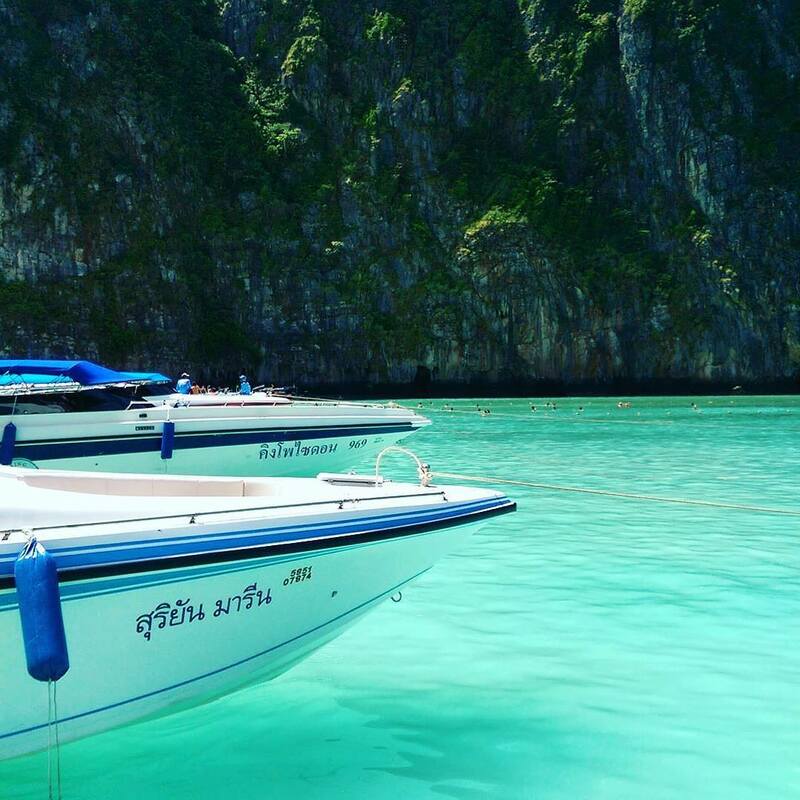 Well you definitely have to visit Phi Phi. Just a day trip there is a enough (you can book it while you’re in Phuket) but many people stay longer. Hey me again, what would you say is the best option for booking Bangkok to Phuket… domestic flights, travel agent quoted me R 2200 return? Hi. Gosh this blog has been extremely helpful!!!! Quick question, how much would you be looking at for food and drinks in Phuket? We are going in June and I’m finding it extremely difficult to see roughly how much spending money to budget for. Lastly you mention that Phi Phi is a must, roughly how much does a day trip cost? Thanks so much for all your help. Leigh thank you so much! I hope you don’t mind, but I have some more questions. 1. Is it better to just stay in one place (i.e. Patong) and then travel to the different places like Krabi, Karon etc for the day? Or would it be better to do a few days in Patong, and then a few in Krabi (I have heard that Krabi is amazing). 2. 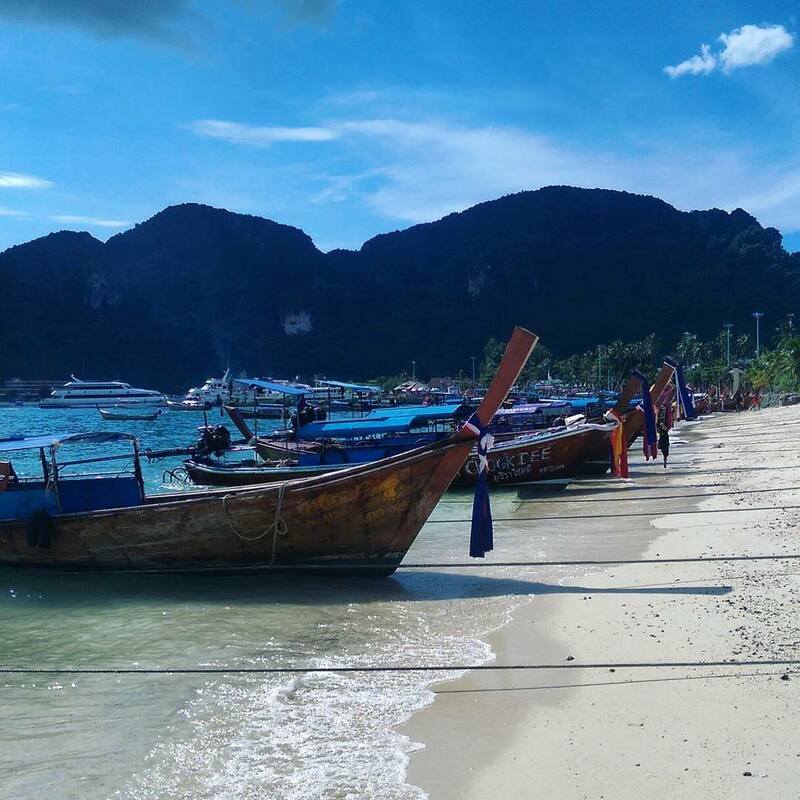 Is it hectic expensive to travel from Patong to Krabi? 3. If it is better to stay a few days in each, which is better to go to first (considering we are still wanting to do a trip to Phi Phi). 4. Any hotels that you would definitely recommend to try stay at? I cannot thank you enough for the help.